Every once in a while a bait comes along and creates a buzz throughout the angling community. 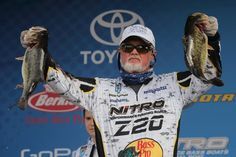 Both excitement and jealousy build as anglers everywhere hear stories of one big fish after another being caught on a new, “magic bait”. Can any bait actually be magic, you ask? Of course not. 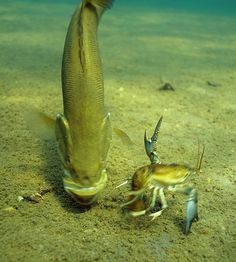 But a brand new bait can sometimes better your odds just by changing your perspective a little bit. 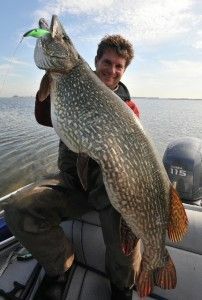 How about using tube jigs to target monstrous Lake Trout? Bass Magnet Lures have created the new look “Tinsel Tubes” and “Ice Tubes” to do just that. The “Tinsel Tubes” are a perfect combination of the classic tube jig profile with the ultra-subtle action and flash of a Mylar fly. 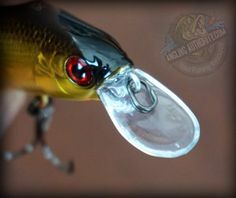 A clear plastic head, coupled with interwoven mylar strands, gives these baits a very realistic baitfish scaled look. 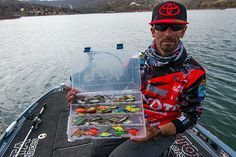 Early reports indicate that these flashy little baits have accounted for some pretty serious catches on the hard water . Leavon Peleikis and Michael McNaught would whole-heartily agree! Fourteen plus pounders? Thirty plus fish days? Crazy rod bending, mind bending action? This all sounds good to me, so here is the low down on the gear and tackle you’ll need to be a Trout slinger. Leavon’s set-up of choice when fishing the “Tinsel Tubes”- 38” heavy action spinning combo spooled with 8lb superline, attached to a micro barrel swivel, with a 6ft fluorocarbon leader(6lb test). 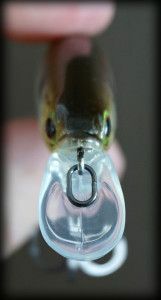 1/8oz “Darter Head”, center rigging the bait, presenting the tube horizontally on a mud shelf (this case) in 30 feet of water. Michael’s set-up of choice – 38”-42” heavy action spinning combo, spooled with 5lb braided Ice line, attached to a micro swivel, tied to a 6ft fluorocarbon leader (varying lbs tests), 60 degree jig head of varying weights depending on depth. Michael favors fishing depths from 90-120 feet of water for these big beauties, with clear/white tubes being his go-to colours. Well there you go. Some similarities in the way Michael and Leavon rig up for a day of virtual Lake Trout heaven. Superline or Braid, micro swivels, six foot fluorocarbon leaders, and a wealth of knowledge and experience. As far as colours are concerned, I think it’s safe to assume that every different colour pattern has it’s time and place. (That’s for you to figure out). Colours include Purple Pearl, White Pearl and Chartreuse Pearl. The other option is the “Ice Tubes” which are also designed for very cold water. With their super soft plastic formula, they are more flexible at colder temperatures which results in superior action to your standard soft plastics. At 3.5”, and in four different colour patterns that mimic baitfish perfectly, there is undoubtedly a colour for your fishy friends. So give the “Tinsel Tubes” and “Ice Tubes” a spin and put the odds in your favor the next time you hit the hard water in pursuit of your fish of a lifetime.